Shelters are in the business of sending pets home. If our goal is to provide shelter dogs with the best care during their stays, save more lives, and make better matches for adopters, we have to focus on their individual pet qualities first and foremost. 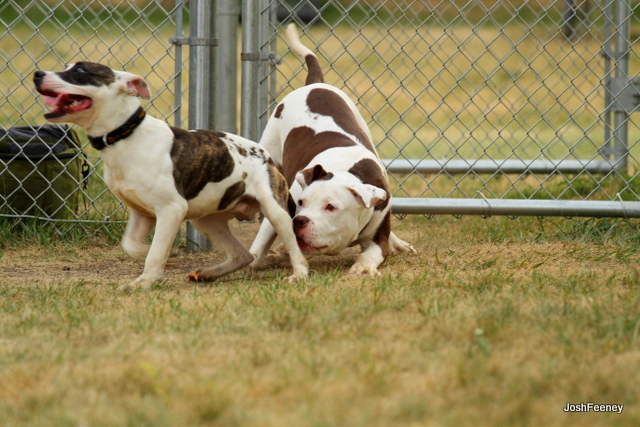 That’s why we were discouraged to read the latest blog from the ASPCA, directed at shelter workers and adoption counselors, which advised them to, “…make clear the breed traits of the dogs when we can identify the breed or breed mix.”, suggesting that knowing a breed trait would help shelters predict which dogs were appropriate for play groups and various types of enrichment. 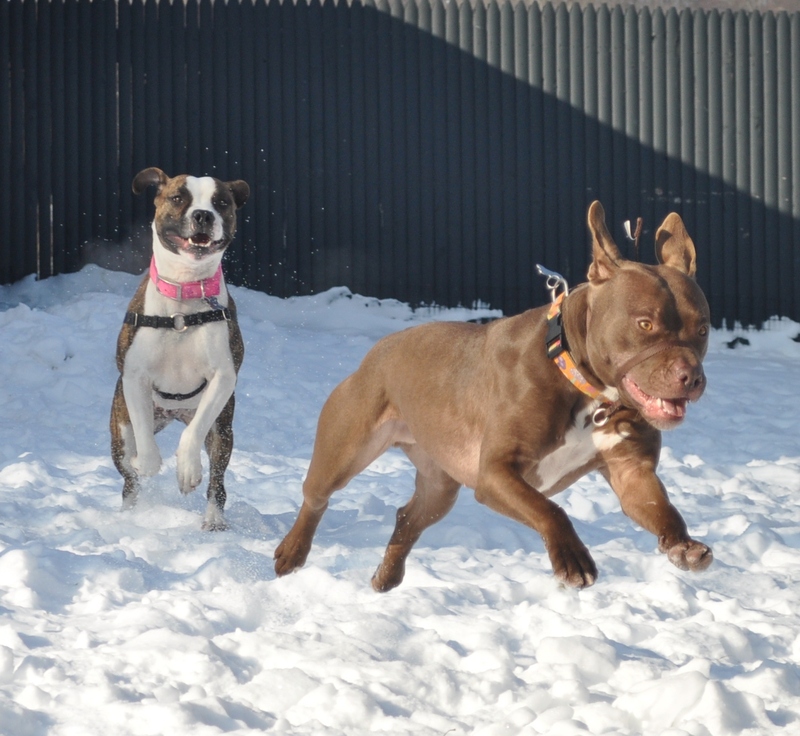 In response, we wanted to remind shelter staff why it’s crucial to get to know dogs as individuals first, as well as the overwhelming good news about playgroups for dogs of all kinds. 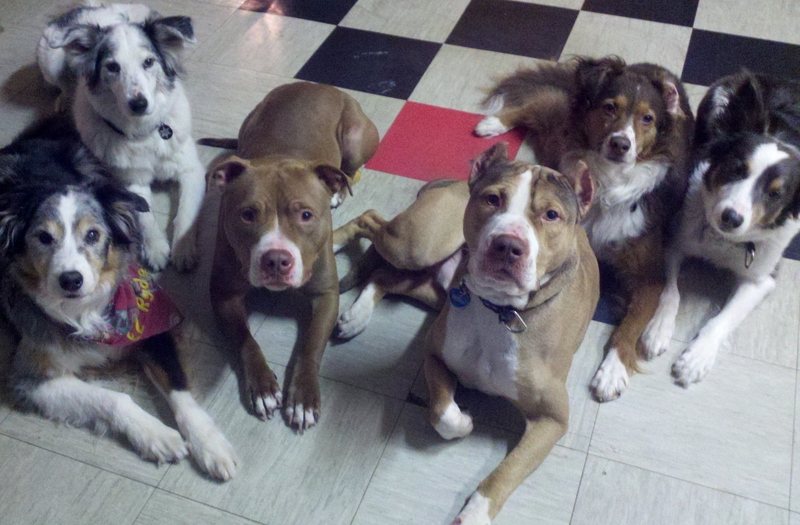 Successful adoption programs recognize that all dogs are, first and foremost, individuals. Every dog is an individual with a distinct set of needs and behaviors that are determined by a wide variety of factors, including: genetics, breeding, socialization, training, management, and past experience and current environment. The only way we can accurately determine what a dog needs are is to look at the individual dog in front us for the answers. We owe it to all shelter dogs to see them for who they really are, free from assumptions that are based on a known pedigree, a breed label guess, or physical appearance. Read more here. This does not mean breed traits don’t exist or that they have no place in adoption counseling. Breed traits most certainly exist, but how they present themselves in dogs, particularly in mixed breed dogs of unknown origins, varies tremendously. Therefore, a guess at how a breed trait may or may not manifest itself in a dog is not nearly as reliable as the information shelters can gather by observing the dogs in their care. No matter what a dog’s breed or mix may be, we should never allow our speculation, biases, or guess-work to stand in the way of providing the best care, socialization, and adoption matches possible. When we give equal or more weight to breed traits (particularly when it pertains to mixed breed dogs), rather than focusing on what we’ve observed about a dog’s individual needs, we are potentially denying them a range of positive experiences. 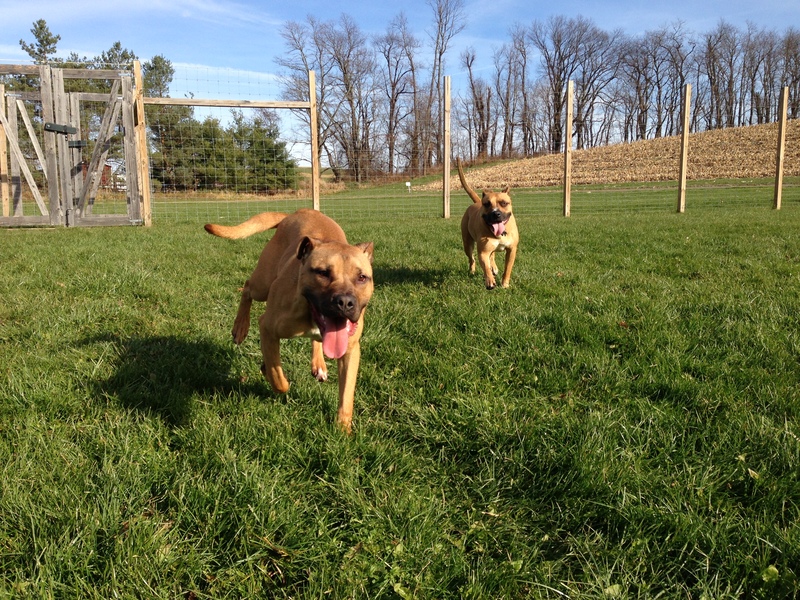 “It was an absolutely life changing experience and we have already begun building playgroups here at the Norfolk SPCA. One of the most valuable pieces of this workshop was the focus on the individual dog. There wasn’t any focus on breed. This really hit me. I stress daily to my staff that we must treat each dog as an individual…After participating in Aimee’s workshop, I realized that I had been making so many assumptions based off of breed. Until now. We may look like we’re from the same litter, but we’re not related and we’re both individuals! “…breed standards include personality descriptions. Unfortunately, personality is not genetically determined: just as a person’s personality derives from more than her genome, a dog is not merchandise whose behavior (outside of a few hard-wired ones, like pointing) can be predicted ahead of time. Last year Aimee Sadler, creator of the Success Through Socialization program, provided a multi-day hands on lesson for volunteers and staff members to learn how to run play groups. We followed up with Cynthia Bathurst, the Executive Director of Safe Humane Chicago, to find out how the Court Case Dogs (a Safe Humane program that supports dogs who have been relinquished by defendant owners charged with animal abuse or neglect and are housed at CACC), are doing and how the play groups at CACC have impacted their lives. Here’s what Cynthia told us in a nutshell: play groups are saving lives. 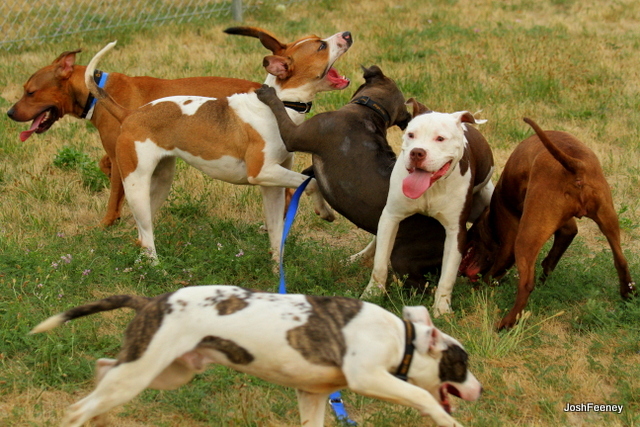 They do not use breed or breed mix to determine which dogs are allowed to participate in play groups. The fact is that we’ve all been relying on breed traits – accurate or not – for too long now. It’s a step backwards to advise shelters to use physical appearance as an equally reliable tool for evaluating a dog or to determine their suitability for various kinds of socializing and enrichment. This old-fashioned, fear-based, reliance on possible breed traits in sheltered dogs has denied countless dogs the chance to socialize in stress-reducing play groups, to go home with adopters who have other pets, and to discover the pet qualities that will truly make the best match for an adopter. It’s time to move forward in our approach to adoptions and enrichment by focusing on dogs as individuals FIRST.